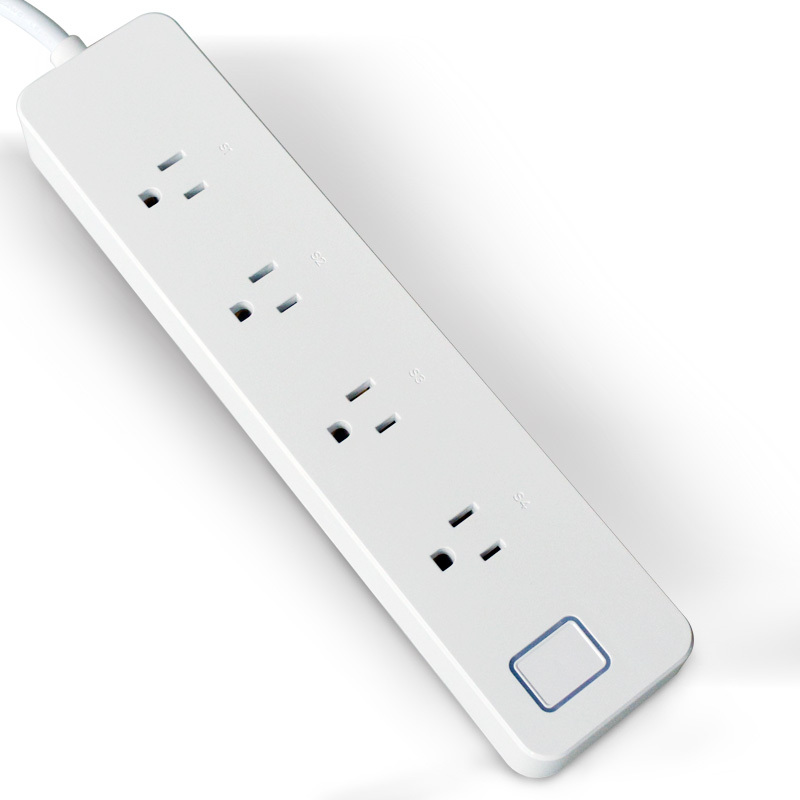 Successfully Added Smart Smart Wi-Fi Power Strip Socket US Plug to your Shopping Cart. Docking GoogleHome, can control light bulbs, each jack supports 10A appliances. Support multiple mobile phone control plugs, mobile APP can control multiple plugs, each jack can be controlled separately. Can set multiple groups of timings, each jack can be individually timed, and can also set daily, workgroup weekend and other modes. Overload protection, when electrical appliances exceeding 10A, it automatically power off, and the power supply will be restored within 1 minute to ensure safety. PCBA: Isolation scheme, which is separated by strong and weak electricity, consists of three PCB boards, which makes the WIFI chip more stable. Works with Amazon Alexa, can search for efamilyCloud download APP in app store or google play. After configuring the plug-in and home network connection for the first time, using the mobile phone 2.3.4G network or other WIFI, control the plug power supply and timing switch.